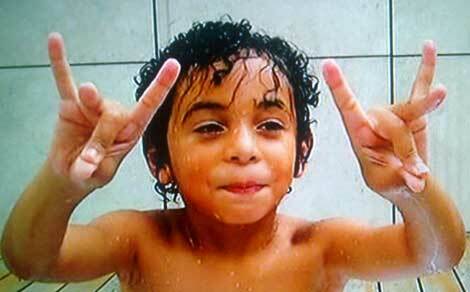 During the debut of Beyonce’s HBO documentary “Life Is But A Dream“ Solange Knowles son (then 6 years old) Juelz Smith closes his eyes, takes a meditation posture and says proudly “I’m meditating” and then throws up the devil’s horns. “multilingual”, and even Beyonces alleged son Blue Ivy was already capable of using flash cards at just 13 months-old. All of this whilst during the entire documentary Beyonce potrays herself as a devot Christain, by gracing and counting the "blessings" from "God".